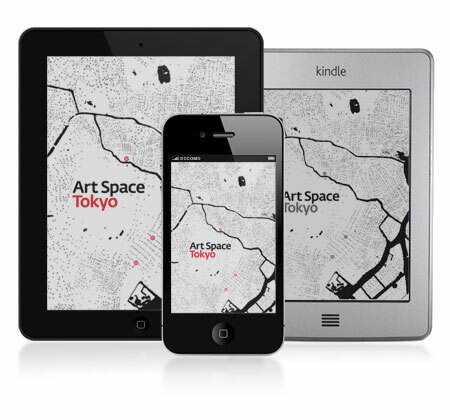 Four seasons of cherry blossoms have come and gone since we published the first edition of Art Space Tokyo. We're happy to finally bring the book online — here, on this website — and release it on all major digital publishing platforms. You can purchase it directly from Amazon, iTunes (for iBooks) or Barnes & Noble. As of 2016 you can also download a collection of DRM free ebook files directly from us for free. There is a lot of content on this site. 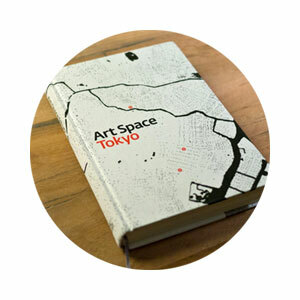 To make it a little less overwhelming, we've divided Art Space Tokyo into its constituent content types: Spaces, Interviews, and Essays. We'd also like to draw your attention to the significantly expanded Timeline and Appendices. 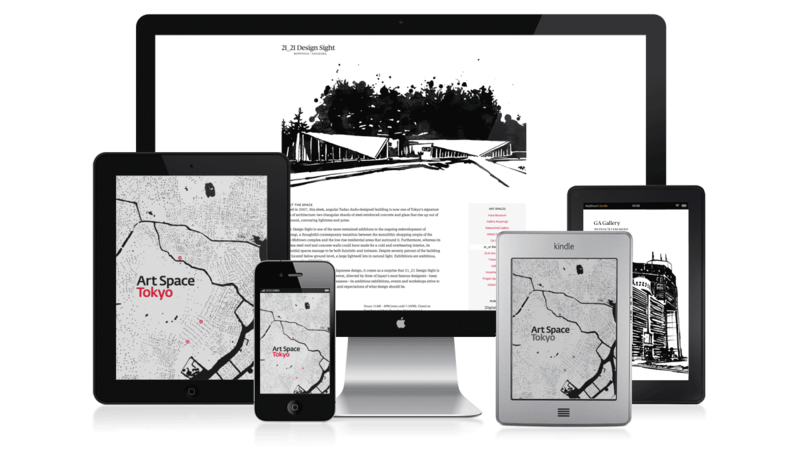 You're free to explore, search, and bounce between interconnected pieces at will. Links within the Art Space Tokyo ecosystem are colored like this whereas external links look like this. Our hope is for this to be a valuable and ever expanding resource for anyone with even a passing interest in Japanese art or Tokyo. We appreciate everyone's patience while we put this together. Craig has written up his thoughts on the process and the state of digital book platforms here, in Platforming Books. 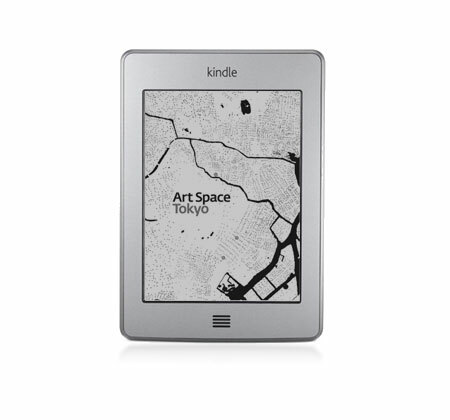 Thank you for your support, and we look forward to growing Art Space Tokyo digitally, here, online. 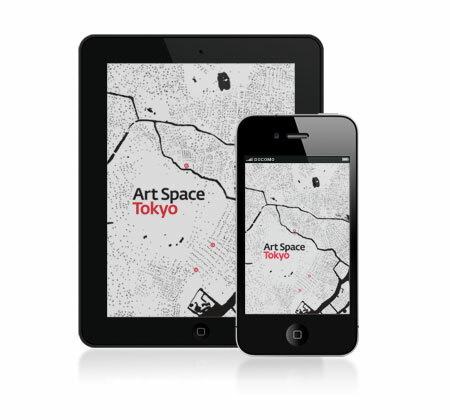 Two seasons of cherry blossoms have come and gone since we published the first edition of Art Space Tokyo. After spending the previous summer seeking out Tokyo’s best art spaces, in early 2008 we locked ourselves away for eight weeks in a small but sunny tatami-mat room. Fueled by a diet of mikan oranges, Meiji chocolate and the excitement of the US presidential primaries, we begun the overwhelming task of piecing together this book. By the end of the year it was clear that the world had changed—the election of Barack Obama was the breathtaking highlight of the decade, and yet the global economic crisis has tainted the world’s perception of everything since. That said, the recession, which caused hundreds of galleries to shut down in other countries, has not affected Tokyo’s art world to the same extent. There was no bubble in the Japanese art market in 2008, so nothing really burst. Almost all the venues in this book remain open and flourishing in the same locations. The Hara Museum turned thirty in 2009; this year marks the beginning of the Watari Museum’s third decade, and Tokyo Gallery + BTAP is entering its sixth. The only featured gallery to have closed is Project Space Kandada. This was, however, not due to financial difficulties, but rather the opportunity to move to a larger venue in Akihabara and reestablish itself as an even more ambitious initiative, 3331 Arts Chiyoda, a mixed-use venue that houses a variety of commercial and nonprofit spaces. Though Tokyo remains optimistic, the recession did leave some casualties. 101Tokyo Contemporary Art Fair, begun in April 2008, struggled to find sponsors in subsequent years, and at present its future is uncertain. Meanwhile, Shinwa Art Auction relocated its contemporary sales to the more international market in Hong Kong, ART iT magazine ceased its quarterly printed issues and now operates entirely online, and several other printed and online publications such as Studio Voice and PingMag.jp folded. Largely, though, Tokyo is still the fascinating metropolis we explored back then. The cafés we recommend continue to thrive, the food is still delicious and affordable, the backstreets are still mazes of architectural eccentricity, and you will still need this book to find your way to the city’s most distinctive galleries and museums. For me, the main changes have been personal—a change in location and a change in perspective. In early 2009, I left Tokyo to join the editorial team at ArtAsiaPacific magazine in New York. Whereas I used to focus on the Japanese art scene as an insider, now I follow it mostly from the outside, observing it more objectively within a broader regional context. Though I have the advantage of knowing exactly where to find the latest information on the Tokyo art world, I recognize even more clearly the challenges faced by the first-time visitor — so many people want to experience the Japanese art scene for themselves, but there is relatively little information about how to find it. I’ve become more conscious of how Art Space Tokyo helps to bridge that divide. So I couldn’t be happier that Craig and I were able to make this second edition a reality, thanks to the astounding generosity of those who were inspired by the first edition. We’ve given the text an editorial polish, added footnotes with updates where needed, and are thinking about what kind of additional content we can offer through our website and the iPad version. We hope that in two years from now, Art Space Tokyo will offer you even more. The art spaces of Tokyo inhabit all manner of buildings. They are hidden down back alleys in private residences; they are tucked away in east-side blue-collar neighborhoods in dilapidated former warehouses; they occupy the upper floors of bland office complexes; or they may even spontaneously erupt for a single evening down a tiny backstreet in Shinjuku. People walk by them all the time without realizing they are there. Even determined art lovers, driven by word-of-mouth recommendations and armed with a map, can still find themselves standing right in front of their target and yet totally unable to see it. With this book, we set out to introduce the reader to twelve of Tokyo’s most distinctive galleries and museums. We are lovers of art, architecture and urban exploration, and having scoured the city for months and visited hundreds of venues, we have chosen what we feel are some of the most inspiring art spaces Tokyo has to offer. Among them are a warehouse built in 1868 that has survived a major earthquake and firebombing, a beautifully maintained early 20th-century Japanese estate-turned-museum, a renovated public bathhouse from the 1950s, a couple of sleek examples of postmodern architecture and an anime-inspired castle in the woods. Some have longer histories than others, but each has a story worth reading about. This book tries to bring these stories to life. We believe that art is not just an end goal, but a process involving all manner of people. Aside from the artists themselves, the art world is made up of gallerists, collectors, curators, critics, architects, designers, businessmen, nonprofit organizations and the patrons—those of us who gain pleasure from simply viewing and interacting with art—all taking part in some way to foster the creation and consumption process. With that in mind, we set out to bring all of these voices into one place, to allow the thoughts of figures with decades of experience to clash with the voices of those just entering the field. Why were these spaces established and what are their goals? What are collectors interested in? What role does art play in Japanese society today? Where does the Japanese art scene stand in relation to Asia and the rest of the world? Through bringing all these voices together and introducing readers to spaces both new and old, well-known and not, we hope to provide at the very least a cross-section of the Tokyo art world. !is book gives those who are curious the means to find a way in, and those who are already experienced a chance to look at themselves and the world they inhabit from a fresh perspective.